Let's get the party going but before that get your perfect look. 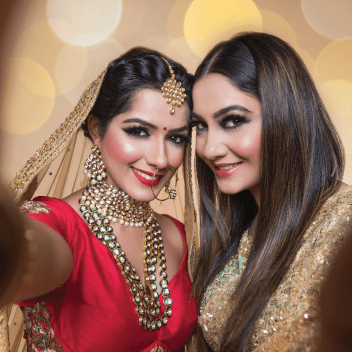 Find the best makeup artists in Kolkata on UrbanClap and look awesome at every party you go. Some of our best makeup artists in Kolkata also serve as columnists and editors for prominent beauty and style magazines. They serve as experts on panel and master make-up application of every skin type. Our top makeup artists in Kolkata offer you the best party makeup in Kolkata. With professionalism and a lot of creativity, our best makeup artists in Kolkata ensure you a flawless face and the ideal makeover. 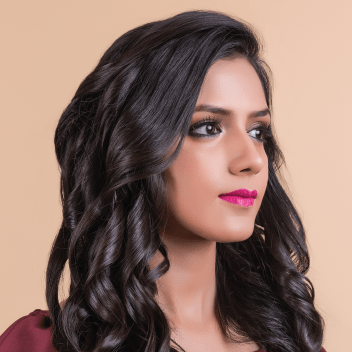 Find the best makeup artists in Kolkata today, only on UrbanClap. Why do you need party makeup? Any special occasion, be it your anniversary, your kid’s birthday party, or, a wedding that you have to attend, requires an expert makeup artist to transform your look. With the skills of a professional makeup artist, you would look marvellous in photos that would be memorable as well. 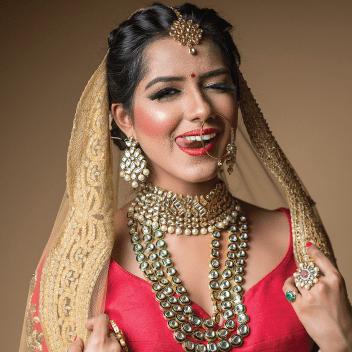 Why should I hire a party makeup artist? A skilled and experienced makeup artist can create a base that is impeccable. They will also make sure your makeup lasts for longer period that you may find challenging to create on your own. Certified Professionals: We have excellent party makeup artists in Kolkata, who are highly experienced and certified experts. Quality Makeup: Our professionals use legitimate products. Convenience: UrbanClap will send an apt makeup artist to your house, who has the necessary kits to prepare you for the special occasion. Express Service: By booking up to 3 hours ahead, you can get outfitted at your house. Moisturiser will prime your face and the makeup would go on well and also, it will help avoid a cakey look. A makeup has a flaky outcome if one has dry skin. You should let the MUA see photos of hairstyles and makeups that you favour. Your makeup artist would have a better impression of what you like. Your MUA would know the style that would match your ensemble, the shape of your face and your type of skin. Search for photos of your preferred style if you are getting dressed in sari or dupatta. The makeup and hairstyling can get ruined if you change clothes after the makeup is complete. To avoid it, wear a top or a button-down shirt and put the blouse in advance. To get prepared at the venue, pack the essentials from your jewellery, footwear, button-down shirt and your dress prior to leaving the house. Carry your favoured makeup products for the MUA to apply on you at the venue. Carry along a tiny touch-up kit for any slight changes before the special occasion, which should contain lipstick, concealer, foundation, moisturiser, blotting paper and some pins. You should ONLY get makeup applied after 2 days of a facial treatment. Tell the MUA about your preferred styles. You can always show her some photographs you prefer. You should share your concerns with the MUA while she is applying makeup on you or before. Just do not let the makeup session get over and then ask for changes, as there will be a lack of time to put makeup from scratch. If you don’t like something, let your MUA know about it. For instance, you should tell her that you do not want a dramatic winged eyeliner or eyelash extension. Click photographs of yourself in both natural and artificial lighting conditions and assess how it looks. The base has to be of the same colour as the skin. The face, back, and neck should have the same tone and if they are not, the MUA should be reminded to put foundation on the visible areas. If the makeup is turning out to be flaky, it is due to some dry areas. Request the MUA to softly dab moisturiser on the dry area to fix it. Hiding your blemishes, pimples, and acne marks aptly until it makes you content would be nice. If you fully conceal them, it can look quite unnatural. The MUA can easily tone down or make it look bold if the makeup didn’t turn up according to your expectations. A cotton bud should be used to dry the waterline before you apply kajal. The kajal stays longer this way. For the makeup to last longer, before applying makeup a primer can be applied over the eyelids and face. While styling your hair the pins should not be pulling, as it can be quite uncomfortable. The hairstylist should change the positions of the pins. Make sure to check if the hair is not opening up or if it is holding properly in place by tilting your head. For dressing of sari, move a bit to test if the pleats don’t open up and also, check whether you can stand and sit with ease and that the sari is not opening up.